Ditto is one of the cutest Pocket Monsters ever created. 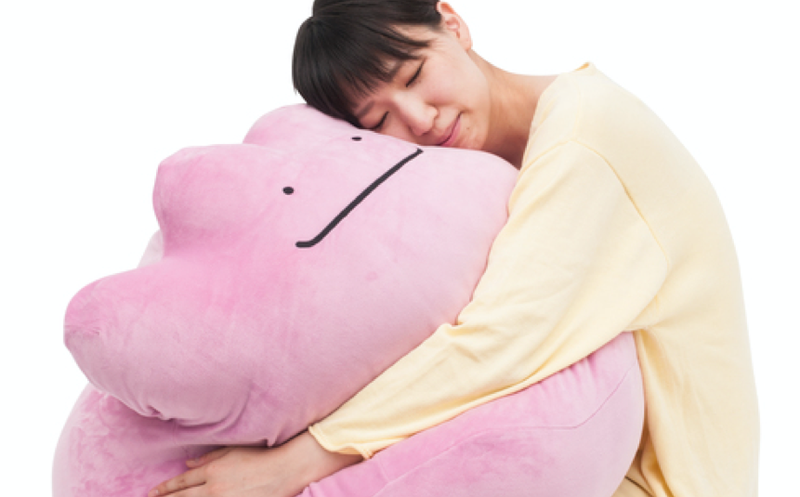 And now, there is a big stuffed Ditto you can snuggle. Priced at 13,000 yen (US$129), the Ditto plushie cushion thingy weighs a whopping 8 pounds! Ditto goes on sale August 6 in Japan.